H.R. 788 will help States build and maintain shooting ranges with Federal funding assistance. Federal Legislation has been introduced that will help build and maintain shooting ranges. H.R. 788, the Target and Marksmanship Training Support Act of 2017, was introduced in Congress by Rep. Duncan Hunter (R-CA) and a bipartisan group of 23 co-sponsors. The provisions of H.R. 788 will help States fund public shooting ranges with Federal Firearms Excise tax revenues. Since 1937 almost $11 billion has been raised for wildlife conservation through the Pittman-Robertson excise tax on the sale of firearms and ammunition. States are permitted to use some of those funds for hunter education courses and for public shooting ranges under a restrictive formula that has largely discouraged state agencies from building and enhancing public shooting ranges. H.R. 788 will help states use Pittman Robertson revenues by increasing the limit on Federal funding of shooting ranges from 75 to 90 percent. This means states could begin work on range facilities with 10 percent State-supplied funding, instead of the current 25 percent. It would also allow Federal Excise funds to be made available and accrue for five years for land acquisition or range construction. In addition, the legislation would limit frivolous lawsuits arising from the use of Federal land for target practice and encourage Federal agencies to cooperate with state and local authorities for maintenance of ranges on federal lands. Shown above is the Belfast Wildlife Area rifle range in Kindards, SC. Belfast was the first public, unmanned shooting range opened and paid for completely with funds raised by NRA Grants and the Wildlife and Sportfish Restoration Program … an act made possible through Pittman-Robertson grants. Several other state Natural Resource Departments have followed suit. Legislative History: The Target and Marksmanship Training Support Act was previously introduced as H.R. 2406, the SHARE Act (Title II), and the Bipartisan Sportsmen’s Act in the last Congress, as well as a stand-alone bill H.R. 2463 in the 113th Congress. Photo Credit: Top photo shows Mainville Sportsman Club (PA) and Union Co. Sportmen’s Club (PA), both sites of IBS Matches. Share the post "New Legislation Could Help States Use Fed Money for Gun Ranges"
Share the post "Where to Shoot F-Class in the USA — List of Ranges"
Many shooting ranges have been closed over the past few years, victims of “urban sprawl” and concerns over noise and land use. Now there’s a bill in Congress that will help fund new ranges around the country. The U.S. House Judiciary Committee last week voted to advance the Target Practice and Marksmanship Training Support Act (HR 2463). This legislation is sponsored by Congressional Sportsmen’s Caucus (CSC) member Duncan Hunter (Rep., CA) and Caucus Vice-Chair Tim Walz (Dem., MN), along with a bipartisan coalition of 14 other House Members. This bill would allow states to use the excise taxes already collected on sporting equipment and ammunition to develop and maintain much-needed public shooting ranges. Having already received the approval of the Natural Resources Committee, passage of HR 2463 through the Judiciary committee was the final step necessary to send the bill to the House Floor. If passed by the House, HR 2463 would have to be approved by the U.S. Senate, and then signed by the President before it could become law. Based on recent experience, a Presidential veto doesn’t seem likely. Through December 2012, President Obama has vetoed just two of 621 bills that crossed his desk. That’s the fewest number of vetos since Millard Fillmore held office in the early 1850s. Target Practice and Marksmanship Training Support Act – Amends the Pittman-Robertson Wildlife Restoration Act to: (1) authorize a state to pay up to 90% of the costs of acquiring land for, expanding, or constructing a public target range; (2) authorize a state to elect to allocate 10% of a specified amount apportioned to it from the federal aid to wildlife restoration fund for such costs; (3) limit the federal share of such costs under such Act to 90%; and (4) require amounts provided for such costs under such Act to remain available for expenditure and obligation for five fiscal years. Shields the United States from any civil action or claim for money damages for injury to or loss of property, personal injury, or death caused by an activity occurring at a public target range that is funded by the federal government pursuant to such Act or located on federal land, except to the extent provided under the Federal Tort Claims Act with respect to the exercise or performance of a discretionary function. Urges the Chief of the Forest Service and the Director of the Bureau of Land Management (BLM) to cooperate with state and local authorities and other entities to carry out waste removal and other activities on any federal land used as a public target range to encourage its continued use for target practice or marksmanship training. 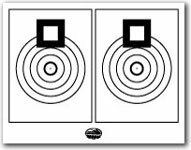 Share the post "Bill to Promote Shooting Ranges Advances in Congress"
Looking for a shooting facility close to home? Need a place to zero your hunting rifle? Or perhaps you’re planning a trip this fall and want to find a gun range near your vacation destination. Then check out WhereToShoot.org. This NSSF-sponsored website provides the most comprehensive online directory of shooting ranges in North America. Listings are updated frequently with range information for all U.S. States and Canadian Provinces. You can search by state, by zip code, or by keyword. You can also limit your search to specific types of facilities (such as indoor pistol ranges). Folks with smart phones can access the WhereToShoot range database via the FREE Where2Shoot iPhone App. This handy App also provides shooting sports news and safety tips. UPDATE Oct. 25: NSSF.org and WhereToShoot.org websites are having technical problems. WhereToShoot.org allows anyone to search for a place to shoot in their area. Site users can simply enter their state or zip code and a list of shooting ranges is created. Searches can be further narrowed by selecting which shooting discipline you are interested in. NOTE: If you own a shooting range or if you’ve recently changed locations, NSSF encourages you to enter or update your range information. Share the post "WhereToShoot.org Website and App Locate Shooting Ranges"
The National Shooting Sports Foundation (NSSF) recently completed a six-month effort to expand and update the www.wheretoshoot.org web database of shooting venues. Hundreds of new places to shoot have been added and thousands of listing updates have been made. WhereToShoot.org is a free online resource that lists range locations, along with descriptions of facilities and types of shooting offered. The site is particularly helpful to new participants to the shooting sports as well as active participants who have moved to a new location. Visitors simply enter their state, area code or zip code and a list of places to shoot is created. Searches can be further narrowed by selecting which shooting discipline you are interested in. If you own or operate a shooting range that is not listed yet, NSSF encourages you update your range information free of charge. Share the post "WhereToShoot.org Listings Expanded and Updated"